Home / Scents / MARIAH CAREY FOREVER. EAU DE PARFUM SPRAY. KEEP OR HIDEAWAY?? MARIAH CAREY FOREVER. EAU DE PARFUM SPRAY. KEEP OR HIDEAWAY?? I first came across this when i was searching for scents that were not to over powering but somehow would stay with me all day. Being a Mariah fan, i stumbled across this particular one when i was on my mission to find a scent that suited all my needs. I didn't realise what a collection of scents this singing diva actually has and was kind of excited to see and smell what they would be like. So i ordered this one .... FOREVER and waited for it to arrive. A few days later when it came, i quickly opened it and was presented with a box with a sleeve that fits over it comfortably and perfect. 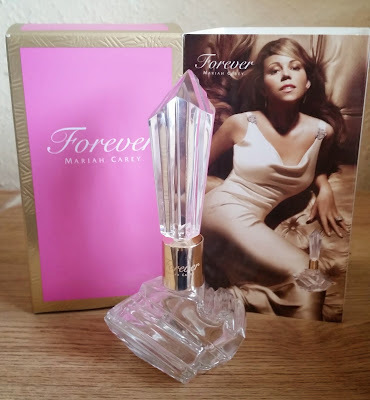 The sleeve features mariah in a gorgeous gown looking stunning as usual and on the other part of the sleeve is the picture of the bottle. Now the picture of the bottle makes it look very classic, elegant, and classy but would it be the same bottle that's actually in the box........? To my amazement the answer is actually yes! The picture looks exactly like the bottle! For me that's a bonus as i have purchased scents before and was excited by seeing the picture on the packaging but when u get your hands on the bottle it looks completely different! 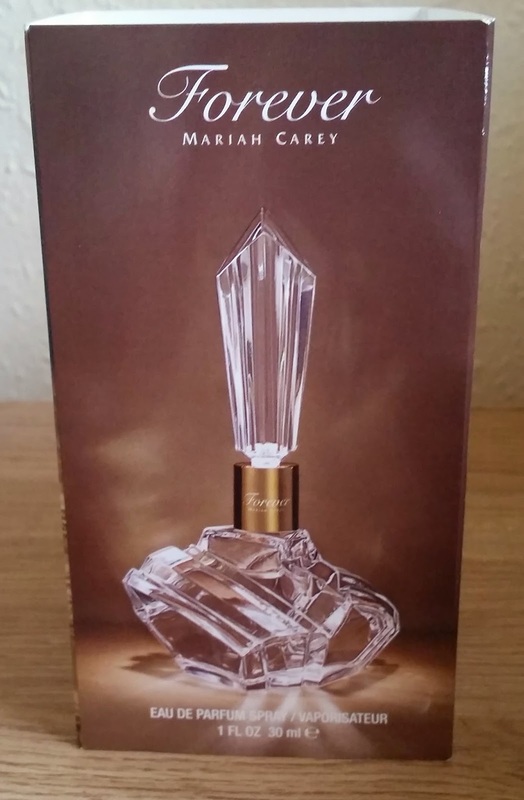 The bottle is quite unique in its design and in interviews mariah herself has stated that she wanted the bottle to be more geared to antique style bottles as that's what she collects. The scent itself is also a winner, opening with neroli, lotus blossom and dewy green apple while innocent and pure notes are supplemented with accords of tuberose and gardenia, plus Lilly of the valley at the heart. The base is sensual white musk with patchouli and sandalwood. white florals and yes the apple scent is still there in company with the musk. The fragrance is long lasting , it lasts all day! and posesses a clean milky undertone that reflects its creaminess. If your looking for a scent that's long lasting, unique and has a very elegant art deco bottle that compliments its sophistication then i would recommend Forever!